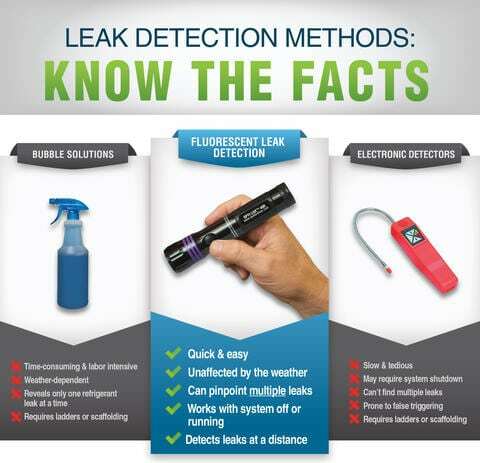 Leaks are often virtually impossible to find with conventional methods until they result in expensive systems failures. Spectroline fluorescent tools quickly locate the smallest and most elusive leaks, including intermittent and simultaneous multiple leaks that would otherwise be missed. The Spectroline method saves labor, money, and downtime, as it also conserves expensive fluids.